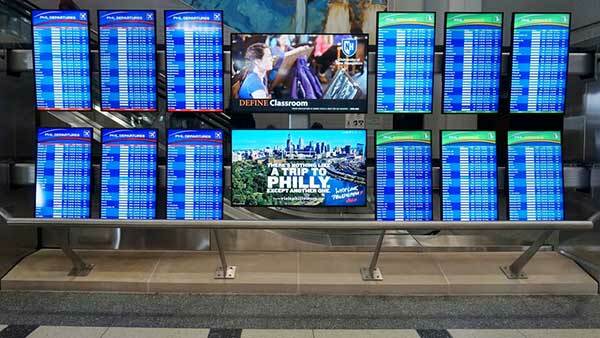 PHILADELPHIA (WPVI) -- The Philadelphia International Airport will be holding a job fair Tuesday to fill 300 open positions. More than 40 businesses including airlines, restaurants, car rental companies, retailers and government agencies are hiring. The job fair takes place from 10 a.m. to 3 p.m. at the Temple University Liacouras Center. The job fair is free and pre-registration is not required. There will be several on-site resources for job seekers, including a computer lab and one-on-one resume reviews. For the job fair, job seekers are encouraged to wear business attire and to bring at least 25 copies of their resume. For more information, visit phl.org for a list of open positions and participating employers.